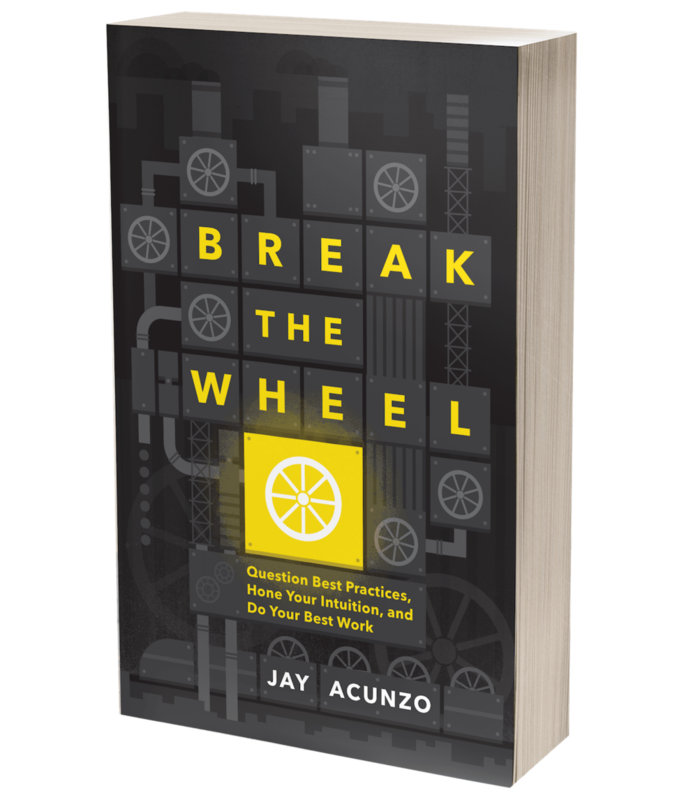 When Something Works, Don't Do More LIKE It - Do More WITH It — Jay Acunzo | Author. Speaker. Maker of Shows About Work. Many of us got into this field because, as Ira Glass like to say, we have "good taste." We have this innate ability to identify quality craftsmanship, in whatever field we call our own. As a result, we feel a burning desire to build, to create, to launch things that match our internal sensibilities. "I desperately want something great to exist in the world. I can clearly picture it. And I'M going to create it!" But here's the thing: Getting to the point where your work looks and, more importantly, feels the same in both your mind's eye and your real eye is frickin' hard. It's a grind. As Glass concludes, the only way to close that gap between your creative tastes and creative output is to do a lot of work. And so we push on. Day in and day out, week after week, month after month, we bounce from home to office, or maybe bed to desk, or maybe coffee shop to coffee shop. We put in the creative miles in order to make something that we believe matches our taste and our sense for what it SHOULD be. So when something actually and finally (and one could almost say, mercifully) works, it's a precious gift. Your audience reacted well to it. Your internal senses match the actual project launched to the world. At long last, all that toil and agony paid off. But in today's frenetic digital world, where a million distractions hit us every minute, it's tempting to let the rushing tide carry us too far forward. We think, "Great! That worked!" Then we're suddenly a mile ahead of it, trying to make something else that works too. One piece of content worked, so let's go create more content. One event worked, so let's go do more events. One feature worked, so let's go build more features. One ebook worked, so let's go create more LIKE it! MOAR EBOOKS! YASSSS! Don't drop what you're doing and sprint in another direction. Hold that successful project in your hands and turn it over and over. Figure out why it worked. And then modify, tweak, syndicate, take tangents, refresh it, and do everything in your power to shoulder into that thing. Even if your leading indicator of success is a handful of positive, visceral reactions, that's enough to lean in even more. When something works, don't do more like it. Do more with it. *Oh, wait, Donald-freaking-Trump has polled decently well. Forget I said anything. Posted on October 30, 2015 by Jay Acunzo.